On Friday, the Franklin D. Roosevelt Presidential Library and Museum in Hyde Park, New York kicked off their "100 Days" Countdown to the public opening of the Roosevelt Library's new permanent museum exhibits on June 30th. Today marks 97 days. 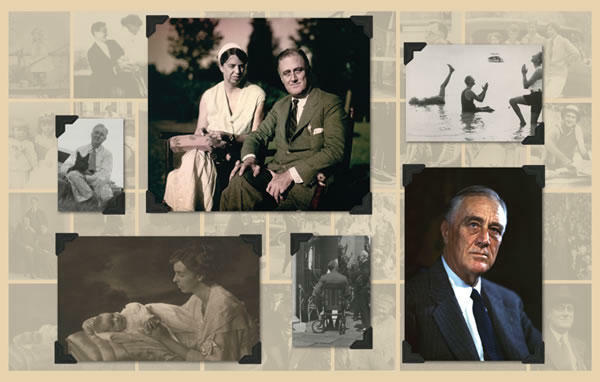 These exhibits will tell the story of the Roosevelt presidency beginning in the depths of the Great Depression and continuing through the New Deal years and World War II with an emphasis on both Franklin and Eleanor Roosevelt’s relationship with the American people. Special interactives, immersive audio‐visual theaters, and rarely seen artifacts will convey the dramatic story of the Roosevelt era as the Roosevelt Library brings a New Deal to a New Generation. To help us countdown, we welcome Lynn Bassanese, Director of the FDR Presidential Library and Museum and Felica Wong, President and CEO of the Roosevelt Institute. On November 14, 1889, Nellie Bly, the crusading young female reporter for Joseph Pulitzer’s World newspaper, left New York City by steamship on a quest to break the record for the fastest trip around the world. Also departing from New York that day—and heading in the opposite direction by train—was a young journalist from The Cosmopolitan magazine, Elizabeth Bisland. Each woman was determined to outdo Jules Verne’s fictional hero Phileas Fogg and circle the globe in less than eighty days. The dramatic race that ensued would span twenty-eight thousand miles, captivate the nation, and change both competitors’ lives forever. Redefining our traditional understanding of the New Deal, the new book, Fear Itself, examines this pivotal American era through a sweeping international lens that juxtaposes a struggling democracy with enticing ideologies like Fascism and Communism. "Mafia Summit: J. Edgar Hoover, the Kennedy Brothers, and the Meeting That Unmasked the Mob"
Mafia Summit: J. Edgar Hoover, the Kennedy Brothers, and the Meeting That Unmasked the Mob is the true story of how a small-town lawman in upstate New York busted a Cosa Nostra conference in 1957, exposing the Mafia to America. The book is by Gil Reavill.